Variety is reporting that Brian Tyree Henry has joined the cast of Legendary’s Godzilla vs. Kong in a “significant role.” The actor will star alongside confirmed cast members Julian Dennison (Deadpool 2) and Stranger Things‘ Millie Bobby Brown, who will be reprising her role from next summer’s Godzilla: King of the Monsters. In July, it was reported that Danai Gurira (The Walking Dead, Black Panther), had entered early talks for a role in the film, but it isn’t clear if those discussions led to anything concrete. Godzilla vs. Kong will be directed by Adam Wingard (Death Note), and it is set to be the fourth installment in Legendary’s shared universe of films that began with 2014’s Godzilla. Last year’s Kong: Skull Island continued to lay the groundwork for this universe with the government organization Monarch being the link that ties the two franchises together. Not much is known about Godzilla vs. Kong beyond the obvious fact that it will feature the long-awaited VFX-driven showdown between the titular beasts. RELATED: Comic-Con: Godzilla: King of the Monsters trailer roars to life! Henry’s star has risen substantially since first appearing in his breakout role as Alfred “Paper Boi” Miles on the FX series Atlanta. This role earned him a Golden Globe nomination for Outstanding Supporting Actor in a Comedy Series. He was previously nominated for Outstanding Guest Actor in a Drama Series for his appearance in a 2017 episode of NBC’s This Is Us. Earlier this year, Henry appeared in the films Hotel Artemis and White Boy Rick, and he’ll be providing the voice of Miles Morales’ father Jefferson Davis in December’s Spider-Man: Into the Spider-Verse. He’ll also be featured in the reboot of Child’s Play, due next year. Godzilla: King of the Monsters roars into theaters on May 31, 2019, while Godzilla vs. Kong drops on May 22, 2020. Are you excited to see the two iconic creatures duke it out on the big screen? 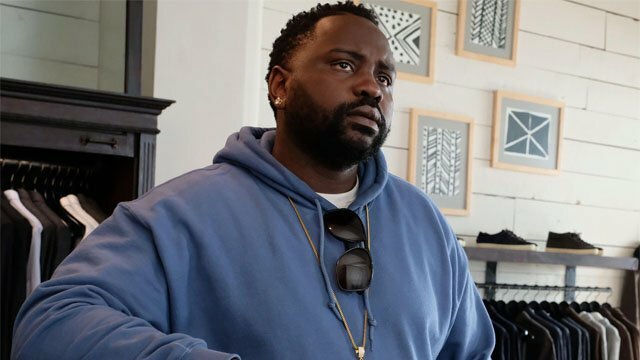 Do you have any theories about Brian Tyree Henry’s character? Let us know in the comment section below!